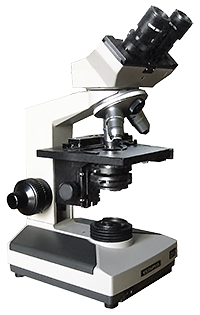 The microscope with its accessories is by far the least understood, the most inefficiently operated, and the most abused of all laboratory instruments. Microscopy is a fascinating mix of optics, physics, materials, chemistry, electronics, computing, and sometimes biology. The wavelengths used can be visible light, UV or IR light, electrons, x-rays, ions, or can be probe-based, like AFM. Each type of microscope has it's specific strengths and weaknesses, there is no all-in-one microscope. As Nobel Laureate Eric Betzig notes, just "like you can't have a car that can take the kids to schools on Friday and win the Grand Prix on Saturday, you can't make a microscope that can do it all." The webpages and PDFs here offer the opportunity to learn more about the tools and techniques you may need to use for your research. The quality of our science depends on the using the proper tool and the knowledge of how to best use it. As scientists we cannot treat our research tools like "black boxes" that auto-magically spit out data, we must consider the admonition of microscopist David Piston (past-president of the Microscopy Society of America) that it is essential we "understand how it works".